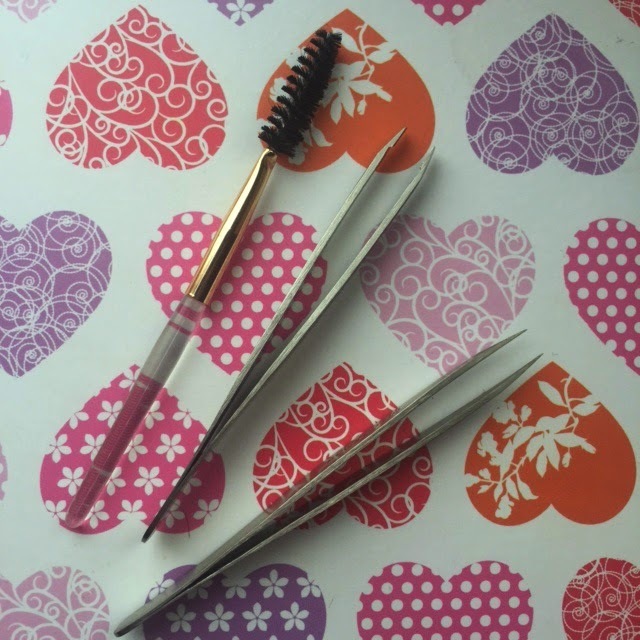 Dainty Dollymix UK Beauty Blog: A Match Made In Brow Heaven? A Match Made In Brow Heaven? I have been using tweezerman tweezers now for yeaaaars! They are literally a tweezer you will use once and never ever look back on, I promise you! I lost mine once and honestly when you have to use a ordinary pair you really realise just how amazing they actually are. I use the Steel Tweezerman Slant tweezers* although I have used the mini version aswell. Quality wise I would say they are no different, at all. They both do exactly the same job just one is bigger and perfect if you have huge hands (like me!) to get a good hold of them. I then introduced the Tweezerman Point tweezer* into my eyebrow routine after disregarding it for a long time and not really seeing much point in such a thin, sharp tweezer. Boy was I wrong. These tweezers are so perfect for just the tiniest of hairs, getting behind them and been able to pluck them out, with such ease. I wouldn't say they are essential, but together with the slant tweezers they work so work. They are extremely sharp, and stay sharp. Mine are pretty much exactly as they were when I first started using them 3 years ago maybe? The same mini pair, before I introduced the full size steel tweezers. 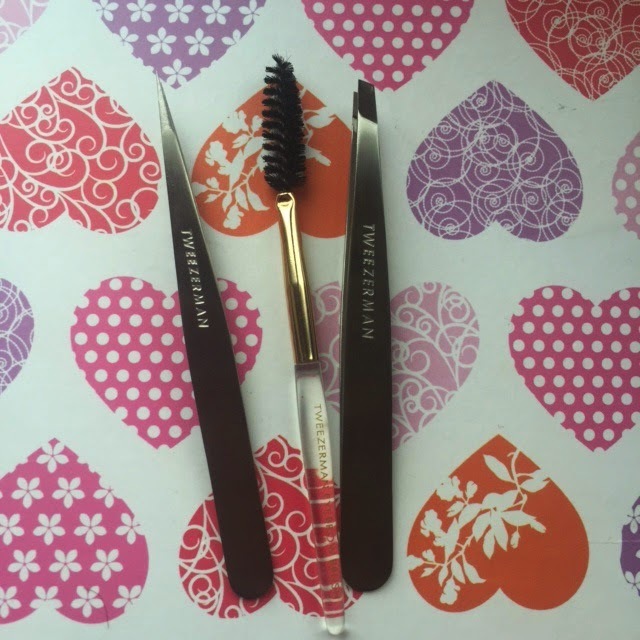 Another of my brow loves is the Tweezerman brow comb* to gently comb through lashes, get them into shape so you can see where needs tweezing or cutting. The slant tweezers are the original and best selling tweezers by Tweezerman and no wonder they have won so many awards. 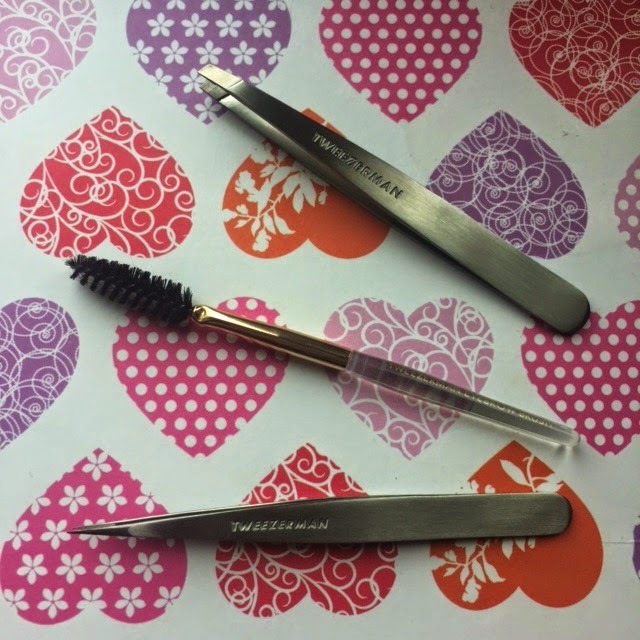 The tweezers are honestly such an investment, they may set you back £20.95 or only £12.50 for the mini pair, however as soon as you use them you will instantly realise how much value for money they are. They are available in many patterns, prints and colours. They pink pair are just adorable! Are you a tweezerman fan? 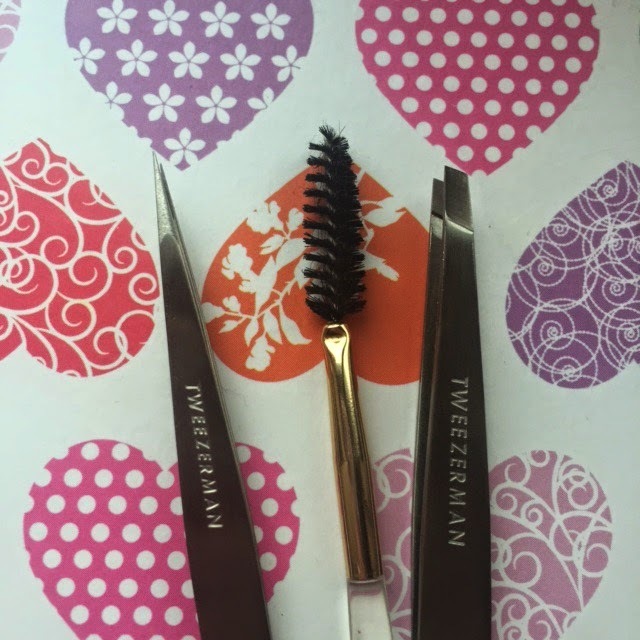 I love Tweezerman Tweezers, it is so true that when you use them, you'll never go back to a regular pair. I've never thought of using the Point Tweezer before, but they sound great!